We offer an in-house service and repair facility for many makes of sewing machine and overlocker, starting at just £25 to clean, lubricate and adjust your sewing machine. For more details please scroll down to the bottom of the page. 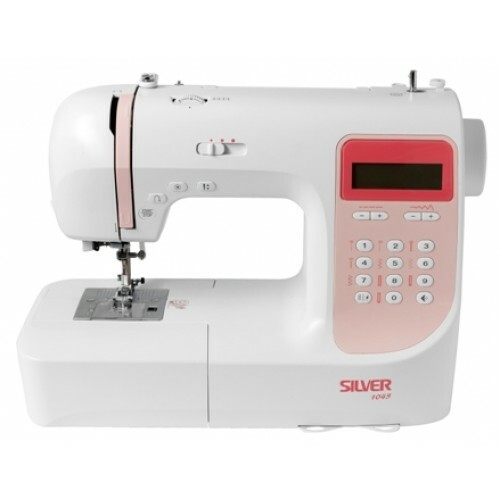 We use Silver sewing machines in our courses and workshops and are agents for these excellent machines. Silver is a UK company which has an extensive range of imported machines made for them; we stock the most popular models in the shop and all others are available within a working day or two. All Silver machines come with a two-year guarantee, and we will set yours up with you and introduce you to its key features. Sewing is our business so buying from us means you will get expert advice and help to use your new machine and take your skills to the next level. We do not sell machines online, but will be happy to deliver locally if required. Please call in or contact us if you would to see or buy a machine, or just want some more advice. Sewing machines fall into two main categories - mechanical or computerised, which refers to how they are set up and controlled. They both use as electrical foot pedal to control speed but on the mechanical machines the stitch choices, lengths, etc. are adjusted by knobs or dials which directly move cogs and cams, and on the computerised ones it's all done by buttons. 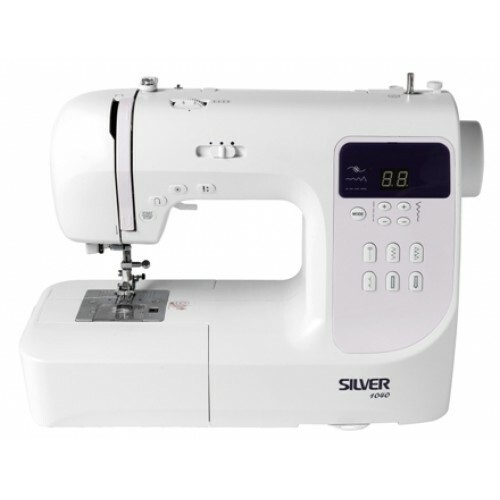 The computerised ones give you finer control over your sewing speed and even let you sew without using the foot pedal, and they have a greater range of decorative stitches. The Silver mechanical 25 series are solid, reliable front-loading machines with a 4-step buttonhole and between 8 and 32 sticthes depending on model. 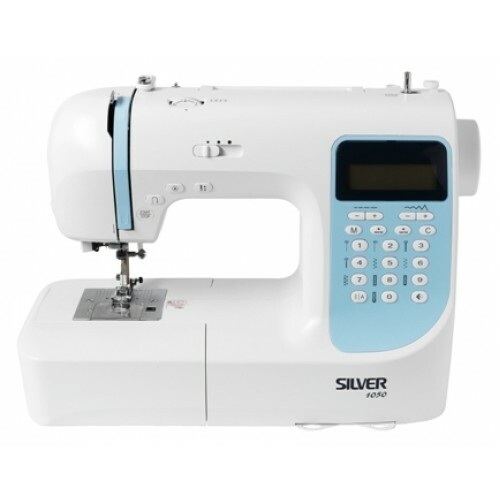 These are quite traditional and a great place to start sewing, with prices from £99. The quality is much better than some of the £70 - £80 machines you may see on the Internet. 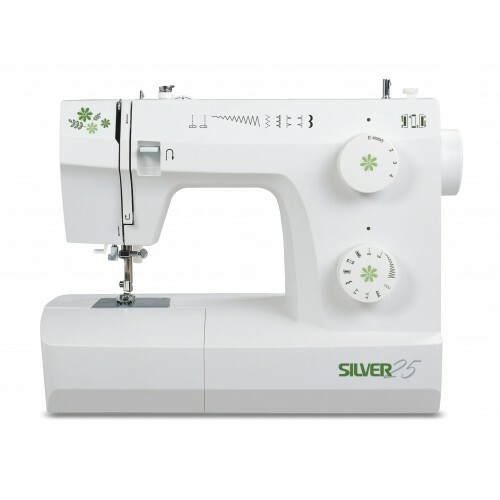 The 1000 computerised series feature a drop-in bobbin, 1-step buttonhole and up to 197 different stitches, LCD screens and LED lighting. The 1050 will even embroider names for you! If you're not sure whether mechanical or computerised is best for you, you're very welcome to pop in and have a go with our machines so you can get a better feel for it. We won't pressure you into buying anything. We service and repair most makes of machine, from vintage to the present day. By "vintage" we really do mean the old days, going back to the 1890's - those old machines just keep on going as long as they're looked after. Up to the end of the 1960's sewing machines were still mostly made of metal, but planned obsolesence became wdiespread from the 1950's and later machines started to rely heavily on plastic parts, both inside and out. Some early plastics often turn an unsightly yellow and get brittle or soft, depending on the plastic used, so some machines from the 70's onwards may not be economic to keep running. If we think that is the case we will tell you the honest truth before you commit to spending anything. That said, most machines that come to us that "won't sew" are actually just in need of a good service and some careful adjustment, and we are always happy to take a quick look and advise you. We aim to return your machine to you within a week, often less. Our standard service charge is a very reasonable £25 and we will always quote in advance if any work or parts are needed beyond that. For those unable to get to the shop we can offer a collection and delivery service in the local area. Charges depend on location; please ask. By the way, do you change your needle regularly? We recommend they should be changed after every 8 hours of sewing. Blunt or damaged needles are the commonest cause of problems that we come across, along with old or poor quality thread. Some of the more recent top-end electronic or internet-connected machines may require specialist attention that we are unable to give. If that is the case we will recommend a suitable repairer elsewhere. If you have a vintage machine that you want rid of - don't throw it away. Most are not worth much on e-bay, but if they have been looked after they can still do a straight stitch as well as or better than a new plasticky one. If you don't want to keep it, we may be able to give it the love it deserves or find it a new home, so ask us before you go off to the tip with it.